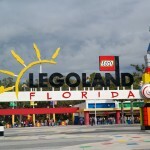 LEGOLAND Florida Resort – Where Everything is Awesome | DaDa Rocks! 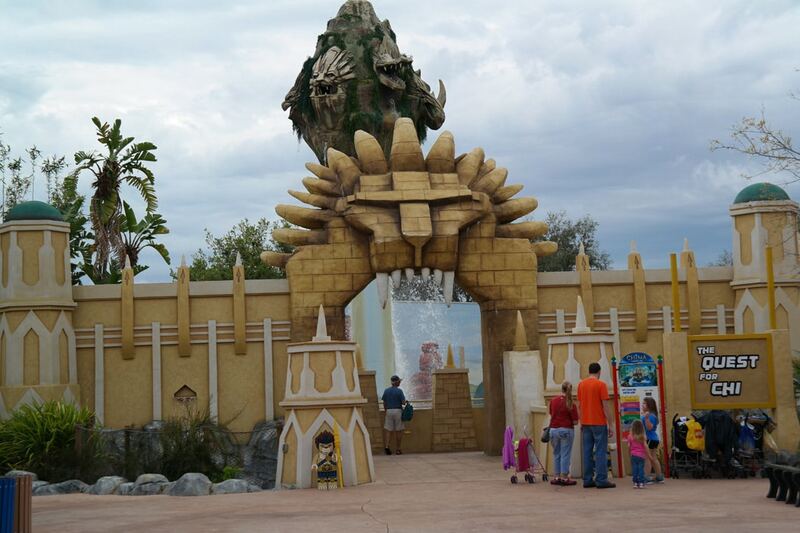 For the better part of least the last 35 years my family has been venturing to the theme parks of Central Florida. 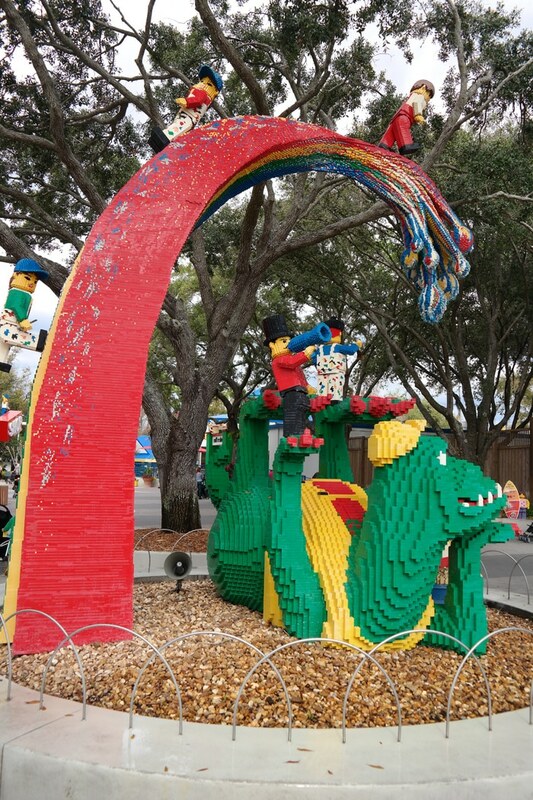 As the father of two Lego-obsessed boys ages 3 and soon to be 7 who loved the Yonkers New York LEGOLAND Discovery Center we were excited to check out LEGOLAND Florida Resort for the first time for Dada Rocks. Sandwiched between trips to Magic Kingdom and Universal Studios Florida we packed up the grandparents and our kids into our rental minivan and headed Southwest from Orlando to Winter Haven, Florida home to LEGOLAND Florida Resort, which was built beside the old Cypress Gardens Botanical Gardens site. 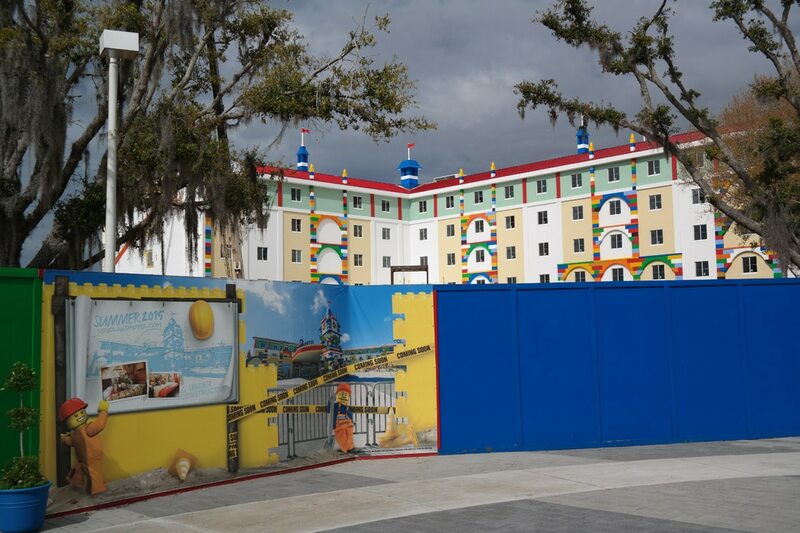 After meeting friends with a 10 month-old daughter and super hero and Lego loving 4-year boy old we ventured into the park past the soon to open LEGOLAND Hotel Opening Summer 2015. When you enter the park you are soon met with some cool Lego retail spaces one aptly named the BIG Store, a theater and some go to eating spots the highlighted by the cafeteria style Market Restaurant. From the park’s entrance you enter Fun Town which is highlighted by a double decker carousel fun for younger kids called The Grand Carousel. 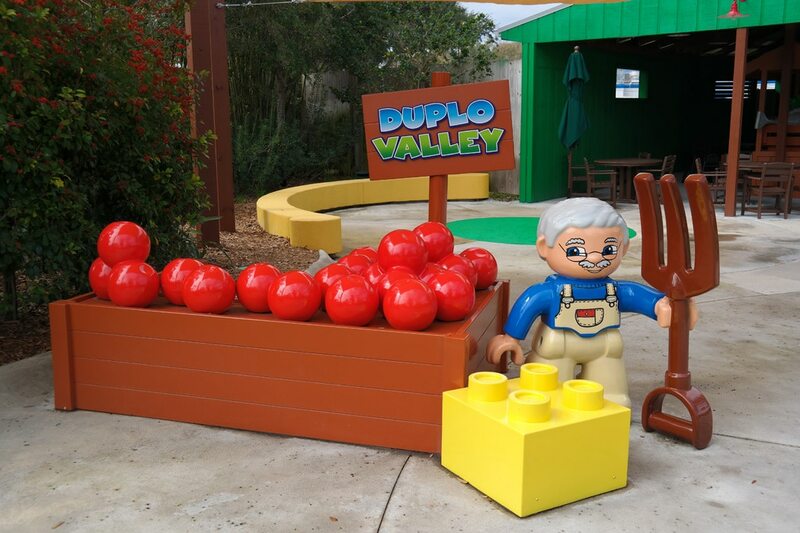 Once past the Grand Carousel you enter the newly opened Duplo Valley. 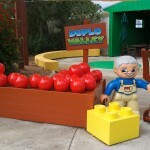 The four year olds in our group particularly loved the DUPLO Tractor ride, the DUPLO Train and the DUPLO Tot Spot. This area of the park seemed especially fun if it was a warmer day. The day we visited was overcast and in the 70s with monsoon like rains forecasted for the afternoon, but we’ll get to that later. 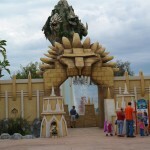 From Duplo Valley we headed into the World of Chima. 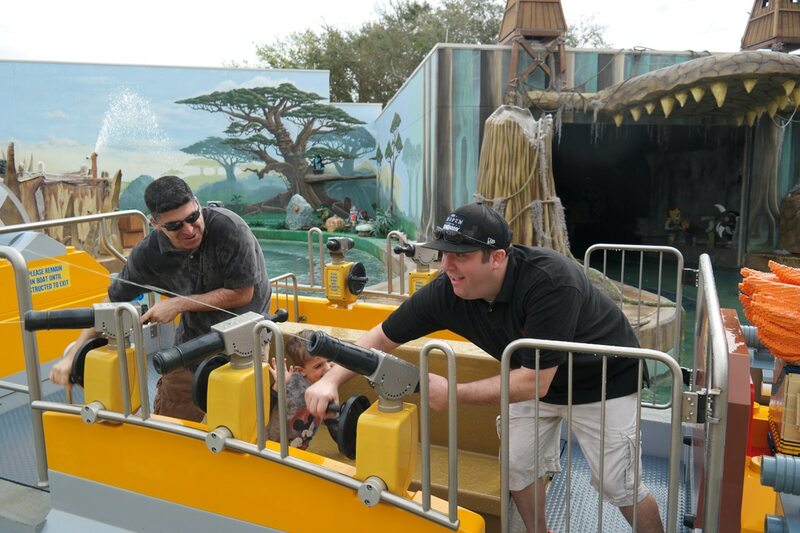 Amidst the World of Chima you’ll find an absolute can’t miss water ride called the Quest for CHI that allows you to fire water cannons from a moving boat and at sometimes unsuspecting patrons walking by the ride. 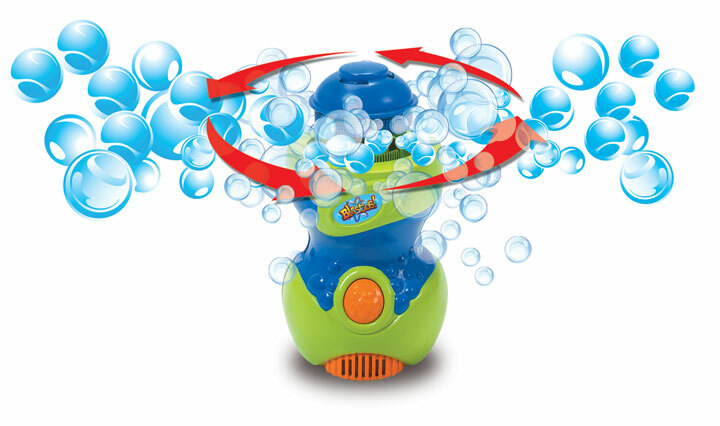 This ride is especially a blast for Parents and kids looking for an excuse to shoot their kids or parents with a water cannon. My Friend Mark and I both in our latter 30s particularly had a blast spraying water at my almost 70 year old dad and kids with Mark’s four year old son Alex. Had it been a warmer day I personally could have spent hours on this ride. 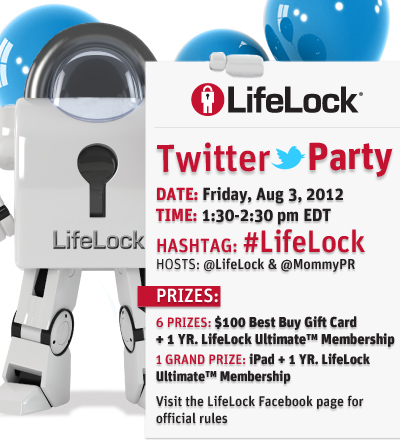 For parents this is also a great source of fun payback should your kids misbehave on the ride down to Orlando. 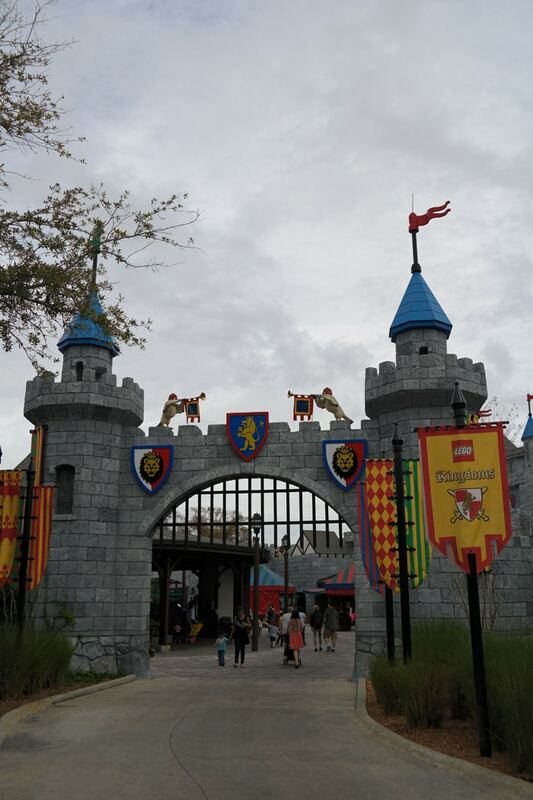 From this “area of parental awesome” you enter a medieval section of the park called Lego Kingdoms that features some very fun rides for kids including the Royal Joust ride that simulates riding a horse in a joust. The cute factor on this ride is out of control and a must photograph moment. 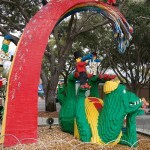 Lego Kingdoms also features the first of four roller coasters called the Dragon ideal for older kids and adults. From Lego Kingdoms you enter the Land of Adventure where you encounter a very, very cool looking dinosaur themed wooden roller coaster called Coastersaurus. However just as we were pondering a ride on The Dragon or Coastersaurus the heavens opened up and we chose lunch instead. For lunch we doubled back to the cafeteria-like Marketplace Restaurant. We found the food in the park to be relatively healthy and reasonably priced, featuring some different food options like Asian stir fry, roasted chicken and build your own milkshake bar. Marketplace was also a great place to ride out the rain because it featured a play area where the kids played Legos as the adults enjoyed dessert and a coffee. Freshly refreshed and caffeinated we ventured out into the monsoon like conditions into Miniland, which is the absolute can’t miss part of the park. 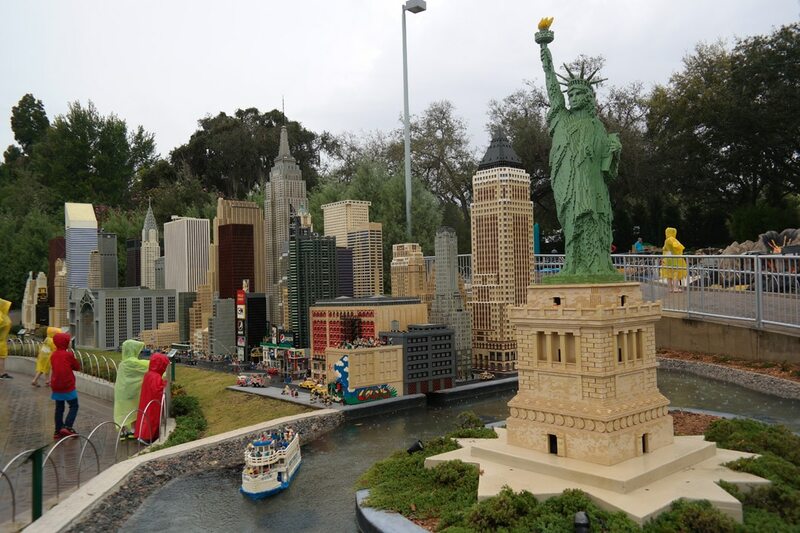 In Miniland you and your family you can check out Lego Star Wars worlds and figures, and an interactive Kennedy Space Center, Daytona Speedway, the Las Vegas Strip, Manhattan skyline, Washington DC, South Beach, San Francisco Bay Area, Hollywood and more, all made out of Legos. The artistry and imagination in this part of the park is on par or better than with just about anything else you’ll see in a theme park in Central Florida. 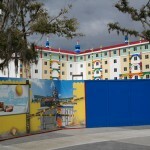 From Miniland you enter our favorite part of the park: Lego City. 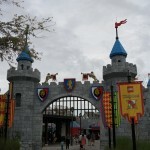 In Lego City you can take in theme park shows like the NFPA Big Test live show, the very cool Boating School boat ride, and the junior and regular Ford Driving School which allows younger kids the experience of driving a small car and allows older kids to get a kids drivers license equipped with a photo. The Ford Driving School turned out to be my 7 year old son’s favorite part of our 10 day Florida vacation. Also in Lego City you can check out a very cool family friendly NFPA Rescue Academy fire truck ride where two family members pump a lever first to move the fire truck and then to pump water while the kids get to work a hose and put a fire out. 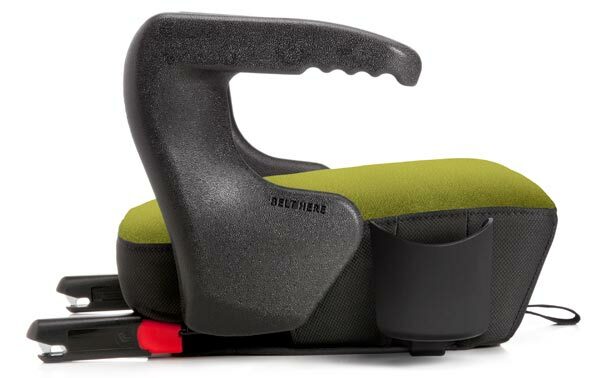 This ride gives even the most physically fit parents a work out and it is highly competitive even in a driving rainstorm. 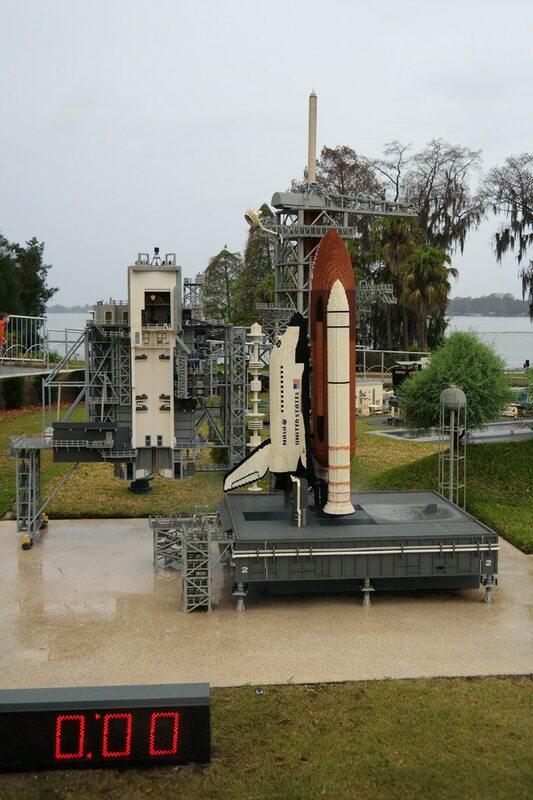 From Lego City the natural progression of the park takes you to either two more roller coasters: Project X and Flying School, two cool looking water rides, the old Cypress Gardens Botanical Gardens or a Pirate Cove themed water skiing show that looks straight out of Jaws 3. However due to the monsoon like conditions we chose about an hour’s worth of indoor Imagination Zone time where we created and raced our own Lego race car and built an earthquake proof Lego building. 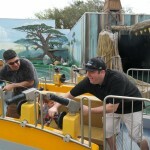 In particular the Imagination Zone employees were especially happy and helpful and the Imagination Zone is very similar to some of the experiences our kids loved about the LEGOLAND Discovery Center in Yonkers, New York. Our friend was nursing and she noted that the nursing facilities were on par or better than some of the larger parks. Parking is plentiful and easily accessible without a tram, boat ride or navigating a parking garage. 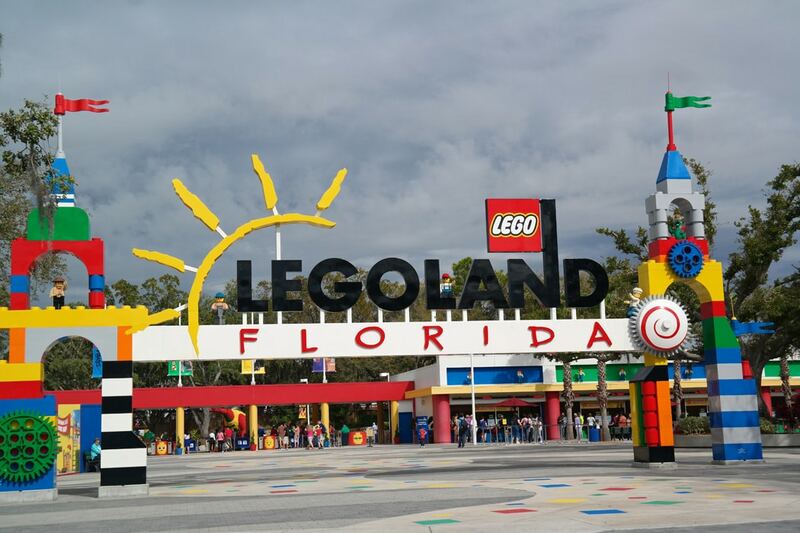 For the trip from Orlando to Winter Haven we’d recommend playing the Lego Movie for your kids. 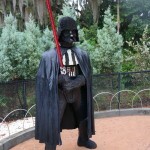 The trip from Orlando typically allows for you to watch half the movie going to the park and half the ride going home. 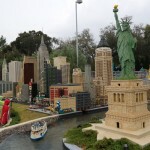 While I’d say LEGOLAND is a can’t miss for families with kids from 4 to 12, I was surprised at all the park had to offer for teenagers and adults. 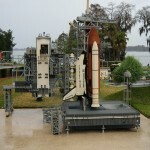 Since LEGOLAND isn’t in Orlando the crowds tended to be smaller and the wait times less. This was a welcomed departure from Magic Kingdom and Universal where I spent most of the day monitoring our fast pass, checking wait times and looking at apps versus spending time with the family. 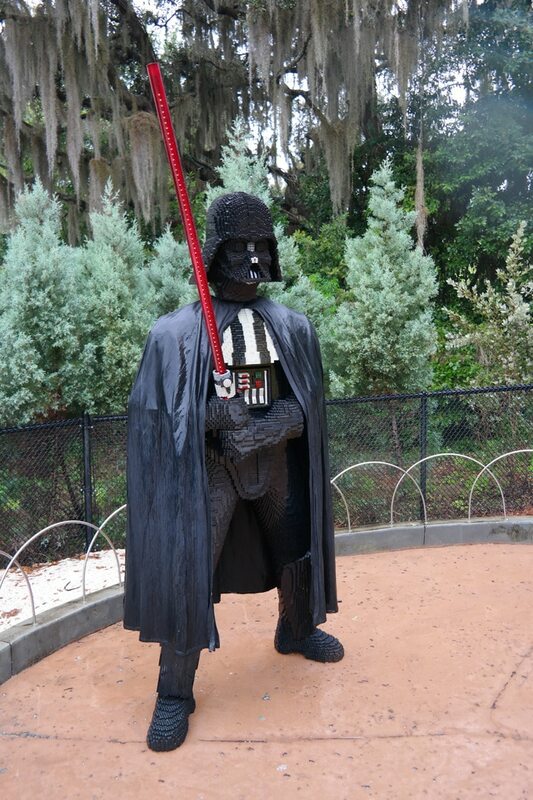 In conclusion, “Everything is Awesome” about LEGOLAND Resort Florida except the monsoon like rain we encountered and my family and I would strongly recommend making the trip down to Winter Haven, especially on a day where you could check out the Water Park or the new hotel. I would also go as far as to say it’s an absolute can’t miss if you have a Lego obsessed child under the age of 12. For my 4 and almost seven-year old boys it had more to offer than Universal and was on the same excitement as Magic Kingdom. NextSkylanders Trap Team is nominated for a Nickelodeon Kids Choice Award get voting!